An alluring silk kimono is a thing of beauty, grace, splendor, and opulence paired with quiet, refined, regal sophistication. 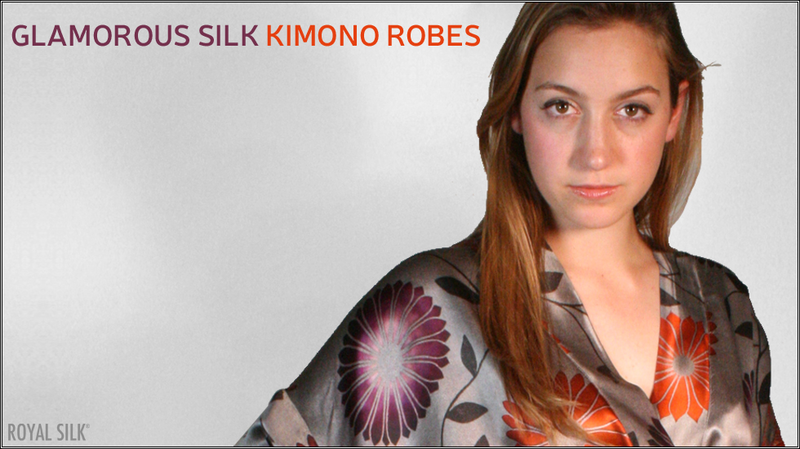 Now you too can luxuriate in a fabulous silk robe by Royal Silk®. And talk about pure silk — there is nothing quite like pure silk against the bare human skin; especially soft, creamy satin silk. One taste, one touch, one feel and you’ll want silk forever. And no other fabric shows-off bold color or makes striking impact like gleaming silk. Cherished for thousands of years the world around, only silk is silk. Classy, timeless, and eternal, a pure silk robe makes an ideal gift that will be much appreciated and treasured for many years. Or just indulge and buy one for yourself. We make it affordable. You’ll never regret it. 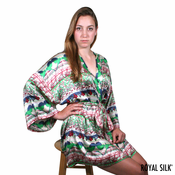 Silk luxury, yours from $79 to $95.